Joe Fay at The Register has an interesting piece about a tour of the UK National Archive. It uses a crawler to trawl the UK government’s web estate, aiming to hit sites every six months. With the government looking to shutter many obscure or unloved sites, the pressure is on. The web archive currently stands at around 80TB, with the crawler pulling in 1.6TB a month. At time of writing, there are 3 billion urls in the archive, with 1 billion captured last year alone.But does anyone really care? Seems like they do. Espley said the archive gets around 15 to 20 million page views a month. This often maps to current events - the assumption being that visitors are often cross checking current government positions/statements against previous positions. Peter van Buren understands the 1984 analogy that drove us to assume a very powerful adversary when we designed the LOCKSS system a decade and a half ago. Jeff Rothenberg's ground-breaking 1995 article Ensuring the Longevity of Digital Documents described and compared two techniques to combat format obsolescence; format migration and emulation, concluding that emulation was the preferred approach. As time went by and successive digital preservation systems went into production it became clear that almost all of them rejected Jeff's conclusion, planning to use format migration as their preferred response to format obsolescence. Follow me below the fold for a discussion on why this happened and whether it still makes sense. This session will explore how well current preservation models keep our evolving scholarly communication products accessible for the short and long term. Library and publisher practices are changing in response to scholars' needs and market constraints. Where are the holes in our current approaches, and how can they be filled? Or are completely new models required? I gave a brief introductory talk; an edited text with links to the sources is below the fold. The attack involves a conspiracy in which the members strategically switch between good and bad behavior. The defense involves randomizing the behavior of the peers. The general lesson is that predictable behavior by honest peers is often easy to exploit. The attack involves deploying an army of Sybil peers that appear legitimate but are actually under the control of the conspiracy. 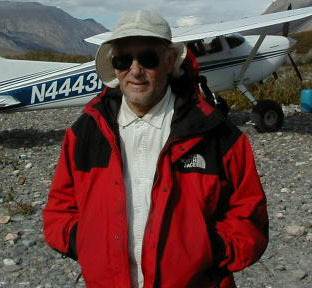 The defense involves making peer operations expensive using a proof-of-work technique. The general lesson is that peer reputations cheaply acquired are worth what they cost. Follow me below the fold for the details. 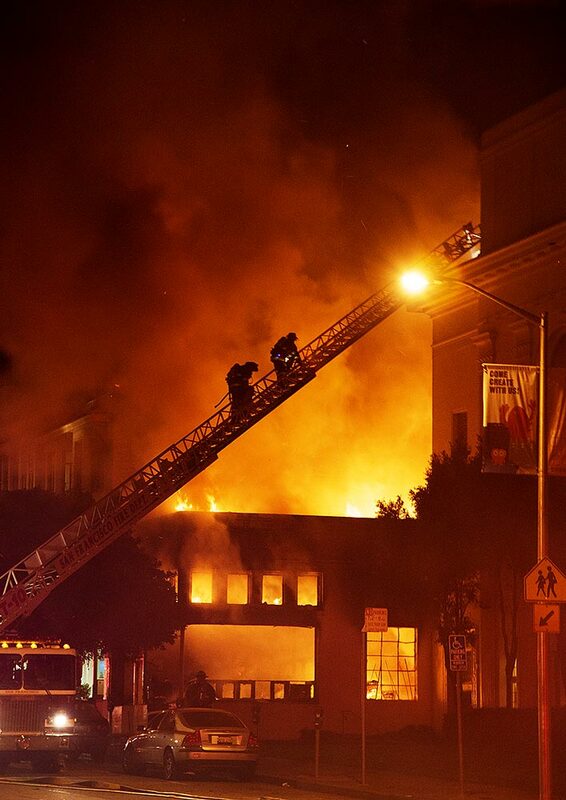 A side building at the Internet Archive used for book-scanning was consumed by fire last night. The people, the data and the library are safe but the Internet Archive is asking for donations to help them rebuild. If you can afford to, please help; I just did. Update: they need to replace an estimated $600K in scanning equipment, plus rebuild the building. Just because you are paying companies like Google, Apple or Microsoft you might feel they are, some how, beholden to you. The companies are actually beholden only to their stockholders whose interests may or may not be aligned with your own, so will change services accordingly. If you aren't hosting your data, it's not your data. Along with security, one of the most difficult issues with cloud platforms is the risk of vendor lock-in. By assigning business processes and data to cloud service providers, it may get really messy and expensive to attempt to dislodge from the arrangement if it's time to make a change. The guide, compiled by a team led by Kapil Bakshi and Mark Skilton, provides key pointers for enterprises seeking to develop independently functioning clouds, as well as recommendations to the industry on standards that need to be adopted or extended. It is mainly about avoiding getting locked-in to a vendor of cloud computing services rather than cloud storage services, so its focus is on open, standard interfaces to such services. But the main message of both pieces is that any time you are using cloud services, you need an up-to-date, fully costed exit strategy. Trying to come up with an exit strategy when you're given 13 days notice that you need one is guaranteed to be an expensive disaster. A week ago Seagate made an extraordinarily interesting announcement for long-term storage, their Kinetic Open Storage Platform, including disk drives with Ethernet connectivity. Below the fold, the details. Ten years ago our paper Preserving Peer Replicas by Rate-Limited Sampled Voting was awarded "Best Paper" at the 2003 ACM Symposium on Operating System Principles. It was later expanded into a paper in ACM Transactions on Computing Systems, The LOCKSS peer-to-peer digital preservation system. According to Google Scholar, the twin papers have accumulated over 300 citations. Below the fold I discuss the ideas about trust we put forward in these papers that have turned out to have lasting significance, and are particularly important today. Tania Rabesandratana's profile of Vitek Tracz, highlighting his roles in open access publishing via BioMed Central and Faculty of 1000, and now in post-publication peer review via F1000 Research. Kudos to Science for this article on a competitor! Diane Harley's corrective to the Web 2.0 hype, stressing that change will come only as institutions change their tenure and promotion practices to reduce their emphasis on flawed measures such as impact factor. Annalee Newitz at io9.com reviews an essay by Heather Phillips entitled "The Great Library at Alexandria?". She makes two points about an institution often cited in discussions of digital preservation that have particular resonance at a time when the US government is mostly shut down, and may be forced into default. Though it seems fitting that the destruction of so mythic an institution as the Great Library of Alexandria must have required some cataclysmic event . . . in reality, the fortunes of the Great Library waxed and waned with those of Alexandria itself. Much of its downfall was gradual, often bureaucratic, and by comparison to our cultural imaginings, somewhat petty. As I've frequently said, the biggest threat to the long-term survival of digital materials is economic. This isn't something new. What made the Museum and its daughter branch great were its scholars. And when the Emperor abolished their stipends, and forbade foreign scholars from coming to the library, he effectively shut down operations. Those scrolls and books were nothing without people to care for them, study them, and share what they learned far and wide. What matters isn't the perfection of a collection, but the usefulness of a collection. Digital preservation purists may scorn the Internet Archive, but as I write this post Alexa ranks archive.org the 167th most used site on the Internet. For comparison, the Library of Congress is currently the 4,212st ranked site (and is up despite the shutdown), the Bibliothèque Nationale de France is ranked 16,274 and the British Library is ranked 29.498. Little-used collections, such as dark archives, post-cancellation only archives, and access-restricted copyright deposit collections are all at much greater economic risk in the long term than widely used sites such as the Internet Archive. Even this account of the burning has to be taken with a grain of salt. The first stories of it appear hundreds of years after the events that took place, and historians aren't sure whether it's accurate. Canfora also notes that by the time this alleged destruction took place, the men who cared for the library were aware that many of its important works were in circulation elsewhere in the world. Major centers of learning had been established in India and Central Asia, along the great Silk Road, where nomadic scholars wandered between temples that were stocked with books. Don't cost me any money. Don't get me in to trouble. You can't ask better than that. The name for the project came later, on a rather muddy hike to Berry Creek Falls in Big Basin Redwoods State Park. Customers had to get all their data out by the end of September or, in effect, face losing it. They had 13 days to do it. Below the fold I ask what would happen if Amazon made a similar announcement about S3 - not because I think that is possible but to show how impossible it is. Henry Newman and I ran a panel at the Library of Congress' Storage Architectures meeting entitled Cloud Challenges. Below the fold is the text of my brief presentation, entitled Cloud Services: Caveat Emptor, with links to the sources. I'm really interested in the work the Force11 group and many others are doing to apply the techniques of software engineering and digital preservation to making science more reproducible and re-usable. Unfortunately, work for our recent Mellon Foundation grant and for the TRAC audit of the CLOCKSS Archive has meant I've been too busy to contribute or even pay much attention. But a discussion that broke out on the Force11 mailing list sparked by Paul Groth pointing to a post on his blog called Becoming a better scientist (reproducibility edition) really grabbed my attention. Follow me below the fold for the details. The group planning a session on "RDF Vocabulary Preservation" at iPRES2013 asked me to give a brief presentation on the principles behind the LOCKSS technology. Below the fold is an edited text with links to the sources. a data storage facility for the United States Intelligence Community that is designed to be a primary storage resource capable of storing data on the scale of yottabytes. Below the fold, lets look at this seemingly innocuous claim. Caroline O'Donovan at the Nieman Journalism Lab has an interesting article entitled Exegesis: How early adapters, innovative publishers, legacy media companies and more are pushing toward the annotated web. She discusses the way media sites including The New York Times, The Financial Times, Quartz and SoundCloud and platforms such as Medium are trying to evolve from comments to annotations as a way to improve engagement with their readers. She also describes the work hypothes.is is doing to build annotations into the Web infrastructure. There is also an interesting post on the hypothes.is blog from Peter Brantley on a workshop with journalists. Below the fold, some thoughts on the implications for preserving the Web. Three years ago I wrote a post on the importance of a tamper-resistant system for government documents, and another a year ago. Governments cannot resist the temptation to re-write history to their advantage, and every so often they get caught, which is an excuse for me to repeat the message. Below the fold, this year's version of the message. Under the auspices of the Digital Preservation Coalition, Maureen Pennock has written a very comprehensive overview of Web Archiving. It is an excellent introduction to the field, and has a lot of useful references. the best DNA storage can do with those dimensions [a gram of dry DNA] is 5.6*1015 bits. A Bekenstein-bound storage device with those dimensions would store about 1.6*1038 bits. So, there is about a factor of 3*1022 in bits/gram beyond DNA. He also compares the Bekenstein limit with Stanford's electronic quantum holography, which stored 35 bits per electron. A Bekenstein-limit device the size of an electron would store 6.6*107 bits, so there's plenty of headroom there too. How reliable storage media this dense, and what their I/O bandwidth would be are open questions, especially since the limit describes the information density of a black hole. Here is Paul Krugman pointing out how much better econoblogs are doing at connecting economics and policy than traditional publishing. He brings out several of the points I've been making since the start of this blog six years ago. The overall effect is that we’re having a conversation in which issues get hashed over with a cycle time of months or even weeks, not the years characteristic of conventional academic discourse. In reality, while many referees do their best, many others have pet peeves and ideological biases that at best greatly delay the publication of important work and at worst make it almost impossible to publish in a refereed journal. ... anything bearing on the business cycle that has even a vaguely Keynesian feel can be counted on to encounter a very hostile reception; this creates some big problems of relevance for proper journal publication under current circumstances. Look at one important recent case ... Alesina/Ardagna on expansionary austerity. Now, as it happens the original A/A paper was circulated through relatively “proper” channels: released as an NBER working paper, then published in a conference volume, which means that it was at least lightly refereed. ... And how did we find out that it was all wrong? First through critiques posted at the Roosevelt Institute, then through detailed analysis of cases by the IMF. The wonkosphere was a much better, much more reliable source of knowledge than the proper academic literature. We believe the [Elsevier] adds relatively little value to the publishing process. We are not attempting to dismiss what 7,000 people at [Elsevier] do for a living. We are simply observing that if the process really were as complex, costly and value-added as the publishers protest that it is, 40% margins wouldn’t be available. The world's research and education budgets pay [Elsevier, Springer & Wiley] about $3.2B/yr for management, editorial and distribution services. Over and above that, the worlds research and education budgets pay the shareholders of these three companies almost $1.5B for the privilege of reading the results of research (and writing and reviewing) that these budgets already paid for. What this $4.7B/yr pays for is a system which encourages, and is riddled with, error and malfeasance. If these value-subtracted aspects were taken into account, it would be obvious that the self-interested claims of the publishers as to the value that they add were spurious. Whatever the wisdom of collecting everything, I'm a bit skeptical about the practicality of storing it. Follow me below the fold for a look at the numbers. the article treats this as a he-said, she-said controversy. It fails to point to any of the massive accumulation of peer-reviewed research that answers this key question by showing that only the most selective journals add positive (if barely detectable) value. If the greater levels of misrepresentation and fraud in these journals are accounted for, their value-add is most likely negative. Publishers, particularly for-profit publishers, are unable to acknowledge that their vaunted and expensive processes are not adding value, and are thus not worth paying for. This is demonstrated by the fact that Nature finds itself unable to cite the literature answering the question that it raises. Isn't part of Nature's value-add supposed to be making sure that relevant literature is cited? I've just started using the first product from the latest company of someone for whom I have great respect, serial entrepreneur Geoff Barrall. His previous company was Data Robotics, now Drobo after their product. I made a small investment in the company and have been using Drobos ever since the initial beta program. Geoff's team managed the all-too-rare feat in the industry of packaging up complex technology, in this case RAID, in a form that is both highly effective and very easy to use. Drobos are a wonderful way of protecting your data against disk failures - over the years the three original 4-slot Drobos in my home rack have handled disks filling up and failing with complete composure. They are now max-ed out with 2TB drives for a total of nearly 18TB of usable space; when this fills up I'll finally have to buy more units. Follow me below the fold for details on Geoff's new product. One of the most valuable aspects of the Library of Congress' National Digital Stewardship Alliance (NDSA) is that it provides a forum for sharing expertise and experience among institutions trying to preserve the nation's digital heritage. The latest example is the Report on Digital Preservation and Cloud Services (PDF) written by Instrumental for, and published by, the Minnesota Historical Society. This is an excellent overview of the strategic and technical issues surrounding the potential use of a wide range of cloud services for preservation. I strongly recommend reading it. Also, Rebecca Pool has a short piece on the same topic here, based in part on an interview she did with me some months ago. 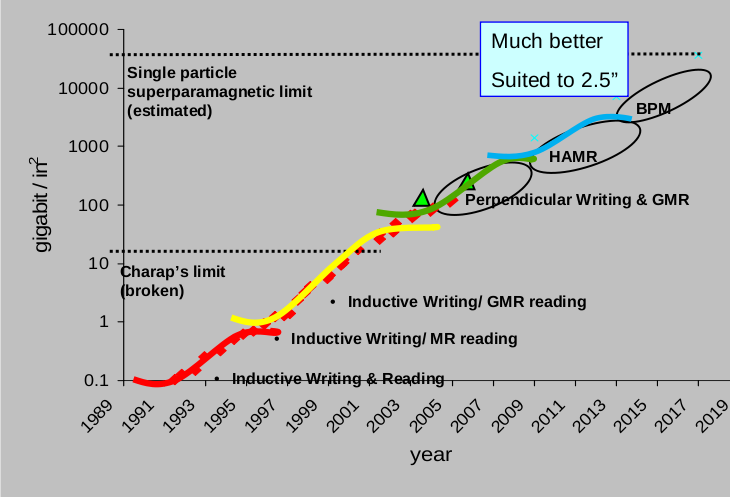 Via Yves Smith and mathbabe I found Deep Impact: Unintended consequences of journal rank by Björn Brembs and Marcus Munaf, which is a detailed analysis of the arguments I put forward at the Dagstuhl workshop on the Future of Research Communication and elsewhere. Even if you disagree with their conclusions, their extensive bibliography is a valuable resource. Below the fold I discuss selected quotes from the paper. A bit more than two years ago in my second post about Memento I described some issues with its concept of Aggregators. These are the search-engine like services that guide browsers to preserved content. As part of the work we are doing to enhance the LOCKSS daemon software under a grant from the Mellon Foundation we have implemented the basic Memento mechanisms, so I'm now having to face some of these issues. I have come to believe that the problems with the Aggregator concept are more fundamental than I originally described, and require a significant re-think. Below the fold I set out my view of the problems, and an outline of my proposed solution. Facebook will move older pictures and back-up photos to new-more energy efficient-data centers, called "cold storage" centers. ... the new "cold storage" centers-which are still in construction-will be five times more energy efficient and will allow users to access old images anytime without noticing any difference. Facebook's problem is that they are ingesting 315M photos/day, or 7PB/month. Reducing the energy consumed by the backup copies and the older, less frequently accessed pictures is important. Although this is a work-in-progress and Facebook isn't talking about some details, it appears that among the techniques they are using are erasure coding, to operate with a lower replication factor, aggressively spinning down disks, using flash to hold indexes, and perhaps new, low-power drives such as these from Seagate, which claim 27% less power draw. They are working in the context of the Open Vault project, so this technology should eventually be available to others. Kai Li's keynote at the FAST 2013 conference was entitled Disruptive Innovation: Data Domain Experience. Data Domain was the pioneer of deduplication for backups. I was one of the people Sutter Hill asked to look at Data Domain when they were considering a B-round investment in 2003. I was very impressed, not just with their technology, but more with the way it was packaged as an appliance so that it was very easy to sell. The elevator pitch was "It is a box. You plug it into your network. Backups work better." I loved Kai's talk. Not just because I had a small investment in the B round, so he made me money, but more because just about everything he said matched experiences I had at Sun or nVIDIA. Below the fold I discuss some of the details. I attended Usenix's 2013 FAST conference. I was so interested in Kai Li's keynote entitled Disruptive Innovation: Data Domain Experience that I'll devote a separate post to it. Below the fold are some other things that caught my attention. Thanks to Usenix's open access policy, you can follow the links and read the papers if I've piqued your interest. I've been blogging a lot about the economics of cloud storage, and always using Amazon as the comparison. I've been stressing that the margins on their cloud storage business are extortionate. But Amazon is famous for running on very low margins. Below the fold I look at this conundrum. I blogged three weeks ago about the Library of Congress ingesting the Twitter feed, noting that the tweets were ending up on tape. It is over 130TB and growing 190GB/day. The Library is still trying to work out how to provide access to this collection; for example they cannot afford the infrastructure that would allow readers to perform keyword searches. This leaves the 400-odd researchers who have already expressed a need for access to the collection stymied. The British Library is also running into problems providing access to large collections, although not as large as Twitter. They are reduced to delivering 30TB NAS boxes to researchers, the same approach as Amazon and other services have taken to moving large amounts of data. I mentioned this problem in passing in my earlier post, but I have come to understand that this observation has major implications for the future of digital preservation. Follow me below the fold as I discuss them. At IDCC2013 in Amsterdam I presented the paper Distributed Digital Preservation in the Cloud in which Daniel Vargas and I described an experiment in which we ran a LOCKSS box in Amazon's cloud. Or rather, I gave a talk that briefly motivated and summarized the paper and then focused on subsequent developments in cloud storage services, such as Glacier. Below the fold is an edited text of the talk with links to the resources. I believe that video of the talk (and, I hope, the interesting question-and-answer session that followed) will be made available eventually. Following on from my talk at the 2012 Fall CNI meeting on 11th December Gerry Bayne interviewed me about the economics of using cloud services for preservation. The edited 12-minute MP3 has been posted on the Educause website. I think I did a pretty good job of explaining the fundamental business reasons why institutions are going to continue waste large amounts of money buying over-priced storage from the commercial cloud providers. At the suggestion of my long-time friend Frankie, I've been reading Trillions, a book by Peter Lucas, Joe Ballay and Mickey McManus. They are principals of MAYA Design, a design firm that emerged from the Design and CS schools at Carnegie-Mellon in 1989. Among its founders was Jim Morris, who ran the Andrew Project at C-MU on which I worked from 1983-85. The ideas in the book draw not just from the Andrew Project's vision of a networked campus with a single, uniform file name-space, as partially implemented in the Andrew File System, but also from Mark Weiser's vision of ubiquitous computing at Xerox PARC. Mark's 1991 Scientific American article "The Computer of the 21st Century" introduced the concept to the general public, and although the authors cite it, they seem strangely unaware of work going on at PARC and elsewhere for at least the last 6 years to implement the infrastructure that would make their ideas achievable. Follow me below the fold for the details. MIT's Technology Review has a nice article about Scott Ainsworth et al's important paper How Much Of The Web Is Archived? (readable summary here). The paper reports an important initial step in measuring the effectiveness of Web archiving, and Scott and his co-authors deserve much credit for it. Below the fold I summarize the paper and raise some caveats as to the interpretation of the results. Tip of the hat to the authors for comments on a draft of this post. and having an automated process in place capable of ingesting the current tweets in near-real-time. On February 28, 2012, the Library received the 2006-2010 archive through Gnip in three compressed files totaling 2.3 terabytes. When uncompressed the files total 20 terabytes. The files contained approximately 21 billion tweets, each with more than 50 accompanying metadata fields, such as place and description. As of December 1, 2012, the Library has received more than 150 billion additional tweets and corresponding metadata, for a total including the 2006-2010 archive of approximately 170 billion tweets totaling 133.2 terabytes for two compressed copies. Tape archives are the Library’s standard for preservation and long-term storage. Files are copied to two tape archives in geographically different locations as a preservation and security measure. The Library has assessed existing software and hardware solutions that divide and simultaneously search large data sets to reduce search time, so-called “distributed and parallel computing”. To achieve a significant reduction of search time, however, would require an extensive infrastructure of hundreds if not thousands of servers. This is cost-prohibitive and impractical for a public institution. This is a huge and important effort. Best wishes to the Library as they struggle with providing access and keeping up with the flow of tweets.